Your kitchen is the center of your house and you certainly know that it gets dirty pretty fast. It can get out of hand pretty quickly. There are a few tips you can easily follow in order to have a clean kitchen from top to bottom. It will only take you 20 minutes a day to keep your kitchen clean. If your household is made up of two persons you can start cleaning the kitchen whenever you have some spare time. If you have a lot of kids, the dishes will certainly be a problem, but you can also put them to work too if you need a little help in the kitchen. If you don`t have 20 minutes to do all of the tasks, just split them into 10 minutes, or add the cleaning task as part of your mourning routine. You will need to take care of everything in your kitchen. This means that you will have to clean the dishes and also the surfaces in your kitchen. You will easily get distracted and this is why you should set a timer. Don`t forget about the microwave. You should always clean it. Some of these tasks will require more than 20 minutes and this is why it may take a little longer to finish the cleaning process. Remember that there will be some nights when you will prefer eating out and there won`t be any dishes needed to be cleaned. When you don`t have dishes to clean, you can focus on other tasks that may require some additional time in order to get done with. When you have time, you can do more things in one day. If you have a small kitchen it will be easier to clean it. This doesn`t apply when you have a larger one. 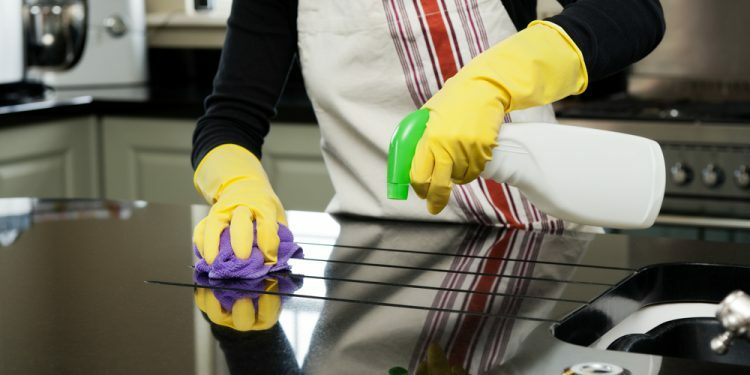 It will take you a bigger amount of time to clean the kitchen if it is larger so you should keep this in mind when you decide to clean it and how much time you will assign to the cleaning process.